When it comes to the amazing sights of China invariably one will think of the Great Wall of China or the Terracotta Army in Xian. But there is much more to see in this country as well, like the attractions below. 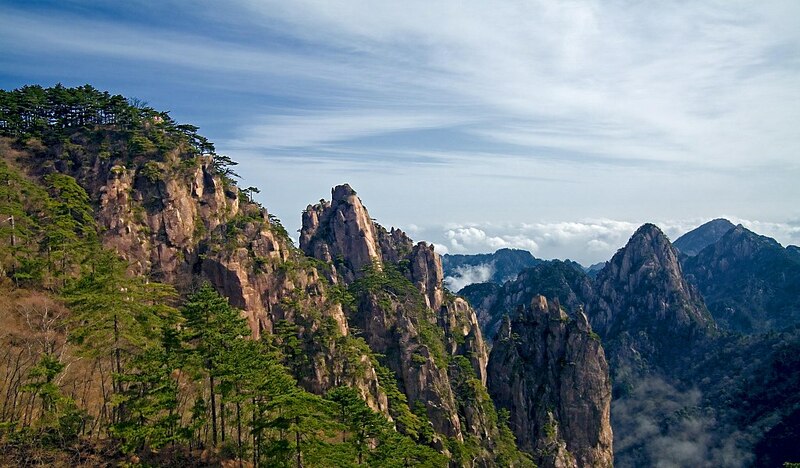 Also referred to as “Mount Yellow”, Mount Huangshan in Anhui offers an unforgettable trekking experience amidst breathtaking natural scenery shrouded in mist. The 1,863 metre mountain features striking rock formations, fascinatingly formed pines and reviving hot springs. Another stunning mountain in China, Mount Lu in Jiangxi is famed for its inspiring beauty that made it the main subject of many poems and paintings over the centuries. Home to ancient temples as well, the mountain can be found at the Lushan National Park, a UNESCO World Heritage Site; it is within a 30 minute drive from Lushan Resort or other similarly located Jiangxi hotel options. Popular for its idyllic beach area, Yalong Bay in Hainan is a beautiful holiday destination and features plenty of luxury hotels too. Apart from spending lazy days on the shore, visitors can also look forward to thrilling water sports including surfing. Believe it or not, this spectacular cave in the Liaoning province dates back over five million years ago! It is home to colourful stalactite and stalagmite formations as well as the longest underground river in the world. Next Post Koh Phangan ; more than just a party island – Discover serenity!